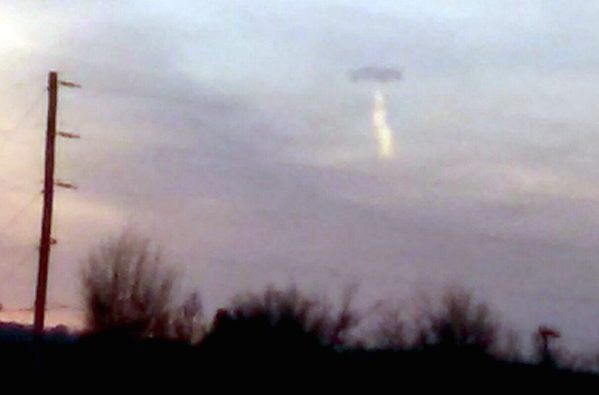 UFO SIGHTINGS DAILY: UFO Seen Over Grocery Store In Oklahoma On Aug 20, 2015, Photos, UFO Sighting News. UFO Seen Over Grocery Store In Oklahoma On Aug 20, 2015, Photos, UFO Sighting News. Altered contrast above, normal untouched below. Date of sighting: Aug 20, 2015, but reported today. This UFO is a big hard to see due to the thickness of the clouds, but when I alter the contrast a little, it really stands out well. 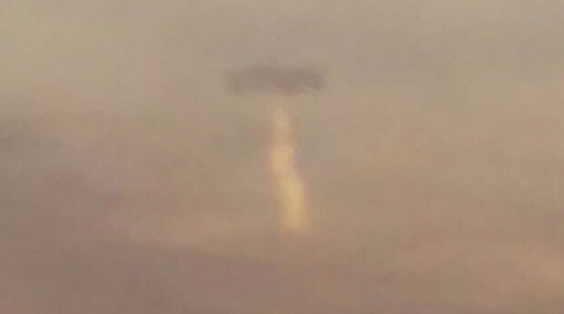 This UFO was caught during sunset, the time I say most UFOs are seen. 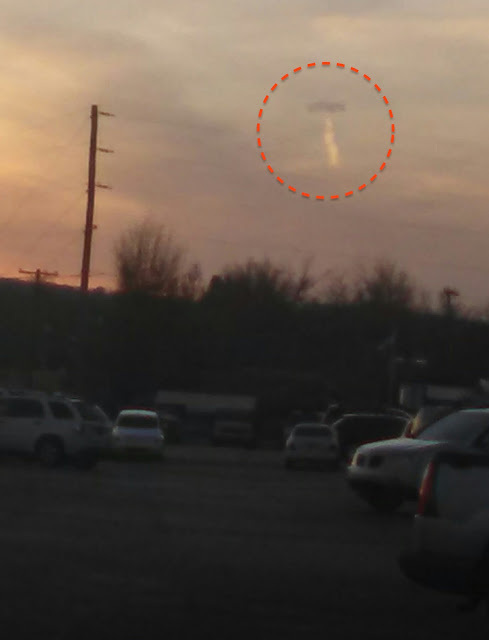 Oh...and UFOs do make clouds, so this is probably not a contrail, but a cloud cloak that slipped off and turned into a stream behind it.